William Clayton's 1874 account of these events was published in the "Plural Marriage" article of Historical Record 6 by Andrew Jenson. According to Clayton, he as well as Joseph, Hyrum, and Emma Smith were primary witness to his account. However, when Clayton's testimony was first published, Hyrum and Joseph were dead which made it impossible for them to either corroborate or refute his claim. However, during Emma's lifetime, she made several statements at different times consistently refuting his testimony—one to Jason W. Briggs in 1867, one to J. C. Chrestensen in 1872, and one to her son Joseph III in 1879. Since Section 132 was never approved by a vote of the Church as a revelation from God, its authenticity, as a revelation given by God to Joseph in 1843, rests soley upon Clayton's testimony as an alleged primary witness to the event. Because Emma, another primary witness, consistently refuted his allegations, it is of utmost importance that William Clayton was completely truthful in his statement. However, he was not. He embellished his account of Joseph giving the revelation with a substantial lie. Below is the part of Clayton's testimony about recording the polygamy revelation (LDS D&C 132) which contains the lie. I italicized the lie for ease in recognition. On the morning of 12th of July, 1843, Joseph and Hyrum Smith came into the office in the upper story of the "brick store," on the bank of the Mississippi River. They were talking on the subject of plural marriage. Hyrum said to Joseph, "If you will write the revelation on celestial marriage, I will take and read it to Emma, and I believe I can convince her of its truth, and you will hereafter have peace." Joseph smiled and remarked, "You do not know Emma as well as I do." Hyrum repeated this opinion and further remarked, "The doctrine is so plain, I can convince any reasonable man or woman of its truth, purity or heavenly origin," or words to their effect. Joseph then said, "Well, I will write the revelation and we will see." He then requested me to get paper and prepare to write. Hyrum very urgently requested Joseph to write the revelation by means of the Urim and Thummim, but Joseph, in reply, said he did not need to, for he knew the revelation perfectly from beginning to end. This statement in Clayton's testimony about the Urim and Thummim is very important. It is the seal of authenticity regarding the truth of this revelation. Joseph's refusal to use this tool to bring forth the revelation indicates his complete confidence in his knowledge of the truth of the revelation and his familiarity with it. This part of his testimony reassures the reader that Joseph knew what he was doing and that the revelation is true. However, this statement by William Clayton is a lie. According to the above, after Joseph was through translating the Book of Mormon, he delivered the plates, the Urim and Thummim, and the breastplate back into the hands of the angel from whom he had received them. Because the title page of the Book of Mormon was the last inscription upon the plates, presumably, it was the last to be translated. Since the title page—the last page of translation—was registered on June 11, 1829, Joseph would have "accomplished by them [the Book of Mormon plates, the Urim and Thummim, and the breastplate] what was required at my hand" and "delivered them up" to the angel probably some time in June 1829 because he no longer had use for them. According to Joseph above, from the time he delivered the Urim and Thummim back to the angel until May 2, 1838, the angel had charge of them. In addition, there is no indication from Joseph that the angel ever returned them to him after that date until his death in 1844. Thus, in 1843 Joseph didn't have the Urim and Thummim and would have known he didn't. So if Hyrum would have "very urgently requested Joseph to write the revelation by means of the Urim and Thummim," Joseph's response would have been that he didn't have them—not that "he did not need to, for he knew the revelation perfectly from beginning to end." In 1843, Hyrum Smith would have also known Joseph didn't have access to the Urim and Thummim. As one of the eight witnesses to the Book of Mormon and a brother to Joseph, he would have known Joseph returned them to the angel shortly after completing the translation of the plates. As the Presiding Patriarch of the Church in 1843, he would also have known if Joseph received them again, which he didn't. Thus, Hyrum wouldn't have "very urgently requested Joseph to write the revelation by means of the Urim and Thummim" knowing he didn't have them. Thus, it appears that William Clayton lied about this exchange between Hyrum and Joseph. Some may say that he lied about a minor point which doesn't affect the the major thrust of his testimony that Joseph was a polygamist and brought forth the polygamy revelation which Emma destroyed. I disagree. If he was telling the truth about Joseph and the polygamy revelation, why would he have felt a need to embellish his account with a lie? The lie he told was for the purpose of giving credibility to the revelation. And if the revelation was truly the word of God, why would he need to give it credibility? The fact that he lied in his testimony about the Urim and Thummim makes me wonder what else he lied about—Joseph's polygamy and the revelation itself? I think so. Considering Emma's consistent testimony, as well as her outstanding honor and integrity throughout her entire life (see my blog post on Emma), I have to believe her testimony is true that Joseph didn't bring forth what is now Section 132 of the LDS Doctrine and Covenants and that William Clayton's testimony is false. As additional proof that Joseph didn't author Section 132, if you have not already done so, download Enid DeBarthe's writing style analysis of Section 132. After comparing the writing style of Joseph, Brigham Young, and others to that of Section 132, she concludes it was written by Brigham Young. If you have trouble downloading the PDF file, you may contact me at jsdefender1@gmail.com and I will email it to you. If you wish to know more about Enid's study or the method she used, go to the addendum at the bottom of my post, "The LDS Church's Plural Marriage Statement." That is one possibility. Another is that Clayton was using the term "Urim and Thummim" interchangeably with seer stone. 1) Was this Clayton's first mention of the issue? Does his journal make contemporary comments about plural marriage? 2) Are there any other instances post-Book of Mormon translation when church figures reference Joseph using Urim and Thummim when they were referring to the 3 seer stones he had in his possession? (Recall that most of the Book of Mormon was in fact translated with a seer stone and not the Urim and Thummim proper). Also, you really ought to read up on Emma given your comment about her. Even if you omit post-Nauvoo commentaries on her, you will find plenty of historical contradictions to your commentary about her. Of course one of those sources is William Clayton's journal, which was kept contemporarily with the time. One possibility is that Joseph Smith was innocent of the false charges against him and was truthful in his repeated public denials of having any involvement with polygamy in any form whatsoever. Another possibility is that he guilty of repeatedly lying about his secret actions and that he orchestrated secret combinations to deceive his fellow man, all in the name of holiness. For some reason, you choose to believe that he was guilty and will twist yourself into moral knots in a futile attempt to reconcile these contradictory notions. Even when the evidence is clear that Clayton lied, you twist and spin. Amazing. According to Joseph and Oliver, who were the only two people to have seen and used the translating device of the Book of Mormon, the Urim and Thummim was the only device used to translate the Book of Mormon. Joseph was forbidden to show the Urim and Thummim to anyone but Oliver. Oliver was allowed to see it because he had to use it to attempt to also translate the Book of Mormon. Thus, Joseph and Oliver were the only primary witnesses that the translating device of the Book of Mormon was the Urim and Thummim. Everyone else who testified as to what was used to translate the Book of Mormon never saw the device. Thus, their testimony was pure speculation. You might want to read the well documented pamphlet “How the Plates of the Book of Mormon Were Translated” by Delbert D. Smith, a Seventy in the RLDS Church. You can read it online at http://personal.graceland.edu/~rsmith/translation/preface.html. However, if you have primary evidence from Joseph or Oliver that a device other than the Urim and Thummim was used to translate the Book of Mormon, please give me the reference as I am very interested in reading it. I assume that when you use the term seer stone you are referencing a peep stone. As I understand, the only peep stones used in the early Church were by Hiram Page and by a young girl at Kirtland who lived in David Whitmer’s home. Through them, these individuals brought false revelations which caused great division in the Church. To my knowledge Joseph never indicated he used a peep stone. Again, I would be very interested in reading primary evidence from Joseph that he ever used a peep stone to bring revelation. Since to my knowledge Joseph never used a peep stone, how could William Clayton be confused about it? In my opinion, Clayton said what he meant—the Urim and Thummim. Actually, I have read quite a bit about Emma and that is why I have the opinion I do about her. However, I am unaware of the “plenty of historical contradictions” to my commentary on Emma that are not post-Nauvoo, and I would very much appreciate source references to them. As far as William Clayton’s diary during the Nauvoo period goes, I think I have already shown his lack of respect for the truth. "Smith had at least two seer stones, including a white stone that he found in about 1819, and a chocolate-colored stone that he found in 1822, both of which he used for treasure hunting. His favored stone, chocolate-colored and about the size of an egg, was found in a deep well he helped dig for one of his neighbors. In 1827, Smith said he obtained the "Urim and Thummim" which was composed of two white stones, different from the previous two." In the footnotes I see references to Vogel's Early Mormon Documents and Quinn's Early Mormonism and the Magic World View, neither of which I have available. The Vogel source seems to cite Martin Harris in an 1859 interview, Tucker in 1867, Bennett in 1893, Lapham in 1870, and Chase in 1833. The Quinn source says "Quinn 1998, p. 44.Roberts 1930, p. 129". BH Roberts 1830 Comprehensive History of the Church? These all seem to be from 1859 or later, minus the Chase 1833 source. That's not good. I don't see any references to quotes from Smith himself. What is your understanding of these stones? Do you think Smith possessed them but never used them for religious purposes and never discussed them? Or do you think he never owned these stones? I am not aware of any statement made by Joseph that he ever used a peep stone. Since he was quite open about using the Urim and Thummim, I would assume that if he used a peep stone, he would have said so somewhere. If you do find a statement by him that he used a peep stone, I would be interested in reading the statement and having the reference. Amazing. Thanks JSDefender. This one just blows me away because I believed this peepstone stuff to be pretty well supported historically. But you are correct. I'm finding nothing from Smith. The ultimate source for the peepstone seems to be Willard Chase's statement in Mormonism Unvailed in 1833. Then lots of people cite Chase. Whether Chase told the truth or not, nobody else seems to have mentioned the peepstone prior to 1833. Unless I'm missing something. Thank you, JT, for confirming this for the readers. I'm still open to anyone finding a statement by Joseph that he used a peep stone, but I doubt that they will. I came across the following in my reading today. It is typical of what I'm seeing while researching this topic. It makes me crazy. "There are many accounts of Joseph Jr.'s gift with the seer-stone. In one story, Smith himself described his discovery of his first, white stone in mystical, even Masonic, terms. Looking in Sally Chase's glass, he saw the stone a hundred and fifty miles away, buried under a tree. "It soon became luminous, and dazzled his eyes, and after a short time it became as intense as the mid-day sun."" Etc. The quote there is supposed to be from Smith's testimony in an 1826 trial. Smith himself? Are those Smith's words? Well, we don't really know because there are no contemporary records of that trial. The quote is taken from W.D. Purple's account of the trial that he gave in 1877. Yes, fifty years later. Based on his memory, not on any written records. Wouldn't an honest historian or writer point that out? Instead the casual reader is left with the impression that this is a bona fide, under oath, direct statement from Smith himself. When it just plain is not. Surely we should expect better from the field of Mormon History? Thanks again JSDefender for the clarity and insights. You've helped me a lot. I'm trying to get my head around all this, but it does take time. Thanks for your comment. I couldn't agree more. Like you, I think honest historians should point these things out. It seems to me that they are so sure Joseph was a polygamist that they don't see a need to evaluate evidence. Thanks Lance for the heads up on the URL. I did try the one I listed tonight and it seemed to be working. Maybe their server was down when you tried it. Thanks for having my back. More revealing is what kind of character did Clayton have? Did he support polygamy or follow Brigham Young? If he did that is all we need to know to distrust his writings and claims. Clayton was born in England in 1814. In 1837, at the age of 23, he was taught and baptised by Heber C. Kimball. The next year, 1838, he was a counselor in the British mission with Willard Richards. He moved to Nauvoo in 1840. Some of Clayton's earliest friendships and loyalties in Mormonism were to Brigham Young's COUSIN Willard Richards and Brigham Young's NEIGHBOR from back in Mendon, New York, Heber C. Kimball. Kimball, coincidentally, had belonged to the same Masonic lodge in Mendon as Brigham's Young's brother, Phineas. The Youngs, Kimballs, and Richards were tight. They brought Clayton into their group. Clayton's loyalties were with the polygamist apostles. Not with the Smiths. I wonder what your thoughts are on the recent release by the LDS Church of the "seer stone" photo. Also, what is your view of the letter from Emma Smith to Emma Pilgrim on 27 March 1870. "Now the first that my translated, [the book] was translated by use of the Urim, and Thummim, and that was the part that Martin Harris lost, after that he used a small stone, not exactly, black, but was rather a dark color." In my opinion, regardless of if a stone was used or not, by 1830 Smith seems to have been done with Urim and Thummims and any purported Seer Stones. It still makes no sense for Hyrum to be expecting them to be used 13 years later. I agree that the “seer stone” issue doesn’t change the problem with Clayton’s polygamy revelation testimony. Either way, Hyrum wouldn’t have been expecting Joseph to use the Urim and Thummim. As I’ve stated before, I don’t buy into the idea that Joseph used any device other than the Urim and Thummim to translate the Book of Mormon mainly because he never stated he used any other translating device. In addition, Oliver Cowdery stated the same and he was the only other one to use the Urim and Thummim. I’m not sure what to think about the alleged letter from Emma. This does have my curiosity peaked so I’m going to do some research on this and get back to you with what I find. Just a question: Are you the JT that posted the comment regarding the podcast at http://www.yearofpolygamy.com/year-of-polygamy/episode-94-polygamy-controversies-joseph-fought-polygamy/? Great comment! Yes, that's me. Oddly, I don't see a response yet. I'm not a historian of early Mormon history, just an interested bystander. However, it amazes me to what lengths true believers in JS will go to twist facts and ignore much that has been researched about him and his extra-spousal activities. Here, I'll bear my testimony. ;) 3 years ago I felt the same way you do. I'm in my mid 40's. I grew up in the LDS Church. Mission. BYU. Temple marriage. I was taught my whole life that Joseph Smith was a polygamist. My wife and I are both descended from early Mormon polygamists in 1800's Utah and Idaho. At this point in my life, I value scriptures as non-literal spiritual guides. I don't believe the Book of Mormon is ancient or that it was produced in any supernatural way. After careful study of the available history, just 2 years ago I changed my mind about Smith's involvement in polygamy. The evidence to me indicates that polygamy originated with other leaders in the movement. I'm not twisting anything. I'm not ignoring anything. Certainly not on purpose. My mind is wide open to change depending on the evidence. My new point of view puts me in conflict with my LDS Church community and my family. So it's not one I arrive at lightly. It doesn't simplify my life in any way to adopt this view. I'm disgusted by those who would engage in extra-spousal activities with 15 year old girls, as my own ancestors did. I simply no longer believe Smith was involved. Instead I see evidence that he opposed it while others pursued it. Honestly. Thank you for calling me a true believer in JS, because I am. However, I don't believe I've twisted any facts. If you believe I have, please tell me the facts I've twisted. Here are some facts I would like you to consider. Joseph continuously denied practicing polygamy, he taught against it, and he tried to eradicate it from the Church. Emma Smith testified several times that Joseph didn't practice or teach polygamy. DNA testing is substantially proving that the children most thought to be Joseph's by a polygamist wife were not fathered by him. (Of course, as you know, the main purpose of celestial marriage--plural wives--was to raise up righteous seed, which Joseph didn't seem to do even though he fathered several children with Emma.) The polygamy revelation (LDS D&C 132) was conveniently made public about 8 years after Joseph's death (impossible for Joseph to refute) and Emma denied ever seeing it prior to its publication. The judge in the Temple Lot Case found that the evidence presented by the LDS Church that Joseph was a polygamist was inadequate to prove he taught or practiced polygamy. These are facts--all supporting the position that Joseph did not teach or practice polygamy. Interestingly, these facts are either omitted or downplayed by contemporary writers when discussing that Joseph was a polygamist. It seems to me that they are the ones that are twisting the facts. Thank you once again for another great work of Scholarly Historical Research. I wore the tie you wore when you gave your words at Richard's funeral, when I announced my Presidential Race (presidentkopitke2016.info). I was honored to do so; you are such a great hero. One point I'd like to make, is that when I was writing my book defending Brother Joseph only being married to Emma (js1w.info), I learned that William was fired from the tithing House in Nauvoo. He was later hired in Salt Lake City to work in the Tithing House. I expect as payback for how he was supporting the myth that Brother Joseph had more than one wife (which he did not). Thanks Mariah. It is an excellent post--all should read it. Seriously people, have you not read William Clayton's diary? It was a day by day diary ... and it would be next to impossible to write as much as he did right after Joseph died. In that diary he has many entries where he talks about the fact that Joseph taught him about polygamy ... he was a close confidant of Joseph. If you all think that Joseph is innocent of polygamy then you have not done a in-depth study. I think my article above does prove that William Clayton lied in his testimony about how LDS DC 132 came about and as such questions the credibility of the entire testimony. In addition, it causes me to question the truthfulness of what else he wrote, including his diary. To my knowledge, the entire diary covering the period of Joseph Smith Jr. has not been released—only excerpts. This is problematic because it is hard to get context unless all is available to read. While I have not read many of the excerpts, there is one in particular that I believe is a lie. “Friday June 23rd. This A.M. Prest J. took me and conversed considerable concerning some delicate matters. said } wanted to lay a snare for me. [}=Emma] He told me last night of this and said he had felt troubled. He said } had treated him coldly & badly since I came [William Clayton arrived meeting Joseph on 21 June 1843 halfway between Wassons & Dixon] and he knew she was disposed to be revenged on him for some things she thought that if he would indulge himself she would too. He cautioned me very kindly for which I felt thankful” (http://www.boap.org/LDS/Early-Saints/clayton-diaries). The interpretation of this entry generally given by writers supporting Joseph as a polygamist is that Joseph indicates that Emma told him that if he was having sexual relations with other women, she would have them with other men. Joseph then warned William Clayton that she might approach him about having such a relationship. If this is what Clayton meant, he was not telling the truth because it is a total misrepresentation of Emma and the lady she was. I do not believe that Emma—the designated Elect Lady by God—would stoop to such a low moral level as to suggest she would have a sexual relationship with another man and then do so just to spite Joseph. This was not who Emma was. She was admired and revered by the many who knew her as a person of high integrity and honor. According to Joseph III in his memoirs, when Orrin Porter Rockwell wanted Joseph to build a temporary liquor bar in the Mansion House, Emma told Joseph that if he did, she and the children would move back to the homestead. (See “The Memoirs of President Joseph Smith III—1832-1914,” 34b-c.) If Emma took such a high moral stand regarding the sale of liquor, it doesn’t seem reasonable that she would ever have said that she would have sexual relations with other men—let alone to the extent that Joseph believed her and warned another man to be on guard against her sexual advances. But the point you make is a good one. A day by day diary is supposed to be just that. Each entry is recorded closely to the time of the events—maybe not that day but close enough to the events to remember them accurately. Thus, the presumption is that because the document is a diary or journal, it is accurate and truthful. However, I have pointed out that Clayton lied in both his account of Joseph receiving LDS DC 132 as well as his diary entry of June 23, 1843. Since he did lie, he had the propensity to lie again and thus his diary falls out of the presumption that it is true. As I previously indicated, to my understanding the full diary is not available either in print or for scrutiny of the original. Has there been any evaluation of the original to determine that each entry was made separate from each other—different inks, stroke, slant, or writing style for each entry? If so, then maybe the entries were made daily as presumed. If not, maybe they were all made at once, years later from the events. This type of analysis is vital to determine that the diary is truly a daily diary and not a fraud perpetrated by those who were wishing to attached polygamy to Joseph’s name. William Marks’s statement indicates that shortly before Joseph’s death, he tasked Marks (Nauvoo Stake President at the time) to bring the polygamists to Church court. Since Joseph frequently took his accusers to court, the polygamy conspirators had to know that at some point he would do that to them. To protect themselves, they could have had Clayton—one of Joseph’s secretaries—falsify a daily diary so if they went to court they could falsely bring Joseph down with them or threaten to release it so they wouldn’t be brought to court. Another possibility is that Clayton falsified this diary years later (along with his testimony of how LDS DC 132 was created) to be “proof” that Joseph was the author of polygamy in the Church—not Brigham Young and several others of the apostles. I admit that these theories are purely speculative but not out of the realm of realistic possibilities. Without authentication that Clayton’s diary is what it is purported to be and that he was truthful in all his entries, these speculations could in fact be truthful explanations for a falsified diary. Note that “before the world was made “this law of marriage was ordained and it stated that a man was to have only “one wife, and they twain shall be one flesh.” If that wasn’t enough clarity section 101 on “Marriage” was added to the Doctrine and Covenants in 1835 and accepted by competent assemblies or conferences of the Church as scripture! Now we shall search the scriptures and discover that “in the mouth of two or three witnesses every word may be established.” (New Testament | Matthew 18:16) God’s pattern of marriage has always been the same: “one man, one wife” from the beginning, it has never changed! ¶ And the LORD God said, It is not good that the man should be alone; I will make him an help meet for him. How does the Lord “raise up seed” “unto the Lord?” It can only happen “in righteousness,” “in holiness,” “in virtue,” which equates as moral integrity. Is the Lord sharing with us his moral integrity? He is! His righteousness, His holiness, His virtue has been the same in every dispensation of time, to all the Prophets and obedient of his children. He is giving us an eternal pattern of morality to follow and heed in marriage that we might “raise up seed unto” God in righteousness! Godliness of character and divine nature is the righteousness God commands his people to follow and endure to the end in! 67Behold, this is my doctrine—whosoever repenteth and cometh unto me, the same is my church. It is my belief, personal witness and testimony that the Prophet Joseph Smith never engaged (secretly or otherwise) in the doctrine of “plurality of wives” but fought against it his whole life! He never engaged in lies or deception when it came to this moral law of having only “one wife” as the scriptures presented here so testify of in establishing God’s pattern for marriage from “before the world was made.” Everything ever said by others in opposing God’s moral law is and was fabricated lies, doctored histories; and those who are and have promoted such will be held accountable themselves and will have to answer to God for their behavior. On May 26, 1844 Joseph Smith said, one month before he was murdered June 27, 1844: “What a thing for a man to be accused of committing adultery, and having seven wives, when I can only find one. I am the same man, and as innocent as I was fourteen years ago” (History of the Church Vol.6, p.408-412 Sunday, May 26, 1844). HEARKEN unto the voice of the Lord your God, while I speak unto you, Emma Smith, my daughter; for verily I say unto you, all those who receive my gospel are sons and daughters in my kingdom. Through my own study, research and prayer I have come to know that noble lady and her honesty and virtue. There are inconsistencies in D&C 132 and I will mention but one beginning with verse 1. “Isaac” never did have more than one wife, he only had one and that was Rebecca. Verse 1 says he had “many wives and concubines.”(Note, that Isaac’s name was never change because he kept the covenant of marriage revealed to Adam and Eve; once Abram and Jacob repented and re-established the covenant of marriage, their names were changed, Abram to Abraham and Jacob to Israel). The Lord does not make mistakes or lie, but man does! What were the consequences of such an act of immorality in the early days of the Church after Joseph was killed?…The Lord called the leadership of the Church to repentance via the United States Government, which put pressure on the Church that brought about the Manifesto which ended the “reproached with the crime of fornication, and polygamy” that plagued the Church in its early days and in a historical sense still does today! I feel there is much more the Church could do to clear the name of the Prophet Joseph Smith. All the evidence the Church has today about the Prophet Joseph Smith as having more than one wife is all “second hand testimony,” “falsified affidavits” and “doctored histories,” nothing from Joseph’s own lips but only the truth of what he said a month before he was murdered: “I am the same man, and as innocent as I was fourteen years ago”… “What a thing for a man to be accused of committing adultery, and having seven wives, when I can only find one”. Was Joseph truthful or was he lying? “True Prophets” don’t lie or do immoral acts in secret or public! We have plenty of first hand testimony from Joseph Smith himself teaching and preaching against having more than one wife and denying his involvement with polygamy or plural wives altogether. His own children testified of their father’s moral integrity and example of having only one wife, Emma. Joseph said in his own words that “my name should be had for good and evil among all nations, kindreds, tongues, or that it should be both good and evil spoke of among all people”(Joseph Smith History 1: 33). What do you think the Lord was referring to when he said to “remember” the Book of Mormon and the “former commandments?” The answer is obvious; this article is testimony to it! Is modern Israel immune from this? If our testimonies are not rooted and grounded in the “principles of righteousness,” in “moral integrity,” in “holiness of character,” which to me is the same as being rooted and grounded “in Christ” we are on the road to apostasy and forsaking the truth. The council has always been the same: “Be holy for I the Lord your God am holy” (Lev 19: 2). Warning:“And they (Latter-day Church) shall remain under this condemnation until they repent and remember the new covenant, even the Book of Mormon and the former commandments which I have given them, not only to say, but to do according to that which I have written” (September 1832, Doctrine and Covenants | Section 84:57). 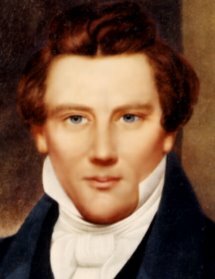 The Prophet Joseph Smith lived from (1805–1844) and died a true Prophet of God, he stated: “I told the brethren that the Book of Mormon was the most correct of any book on earth, and the keystone of our religion, and a man would get nearer to God by abiding by its precepts, than by any other book” (History of the Church, 4:461). Did all follow that council? No! Scripturally it is clear to what the Lord has and had to say about the true order of marriage and raising a righteous seed unto Him. This paper is my witness and testimony of God’s will regarding marriage, and I will not engage in the false deception the Church is still perpetrating and holding on to about the Prophet Joseph Smith as having more than one wife, this is shameful. The law was established “before the world was made,” (D&C 49: 17)and so shall the moral integrity of God and godliness be; for it is the same yesterday, today and forever, that “one man should have one wife; and one woman, but one husband, except in the case of death, when wither is at liberty to marry again.”(D&C 101:4, 1835 to 1876). “For that which is more or less than this cometh of evil, and shall be attended with cursings and not blessings, saith the Lord your God.Even so. Amen.” (D&C 124: 120). (New Testament | Matthew 7:21 - 23) Inspired Version says: “Ye never knew me,” which puts the responsibility on each of us to really “know” the path of godliness by living it and becoming a manifestation of it, in thought, word and deed! Great information! Thanks for the posts. I have enjoyed reading your blog. I believe Joseph Smith did not practice polygamy. Virtually all of the evidence that would suggest he practiced polygamy comes after his death, and is suspect. I was wondering your thoughts on this (alleged?) journal entry.